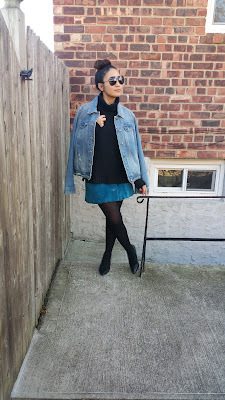 Back with yet another outfit post today. 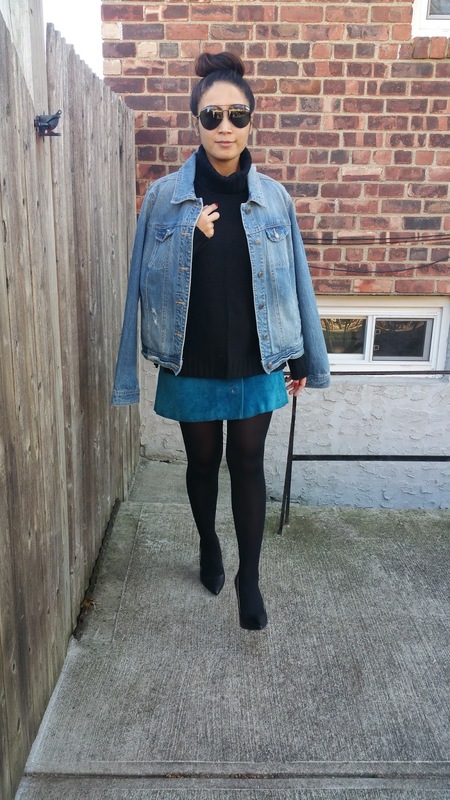 I have on a black turtleneck sweater with my vintage electric blue suede skirt. The skirt actually is longer and lands just above my knees. I literally folded it 3 times on the top to make it shorter. The turtleneck is hiding the folded mess. 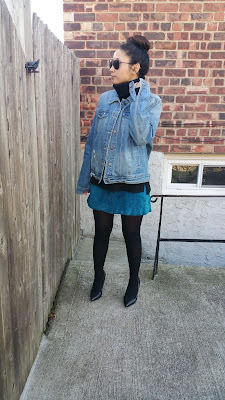 Added on black tights, an oversized denim jacket and black heels to complete my black and blue ensemble. My hair is up in a messy bun because once again I did not know how to style my hair. You know what? I love your hair! And your outfit, of course! I do really love this denim on denim or blue on blue style!!! So cool outfit! you look gorgeous! 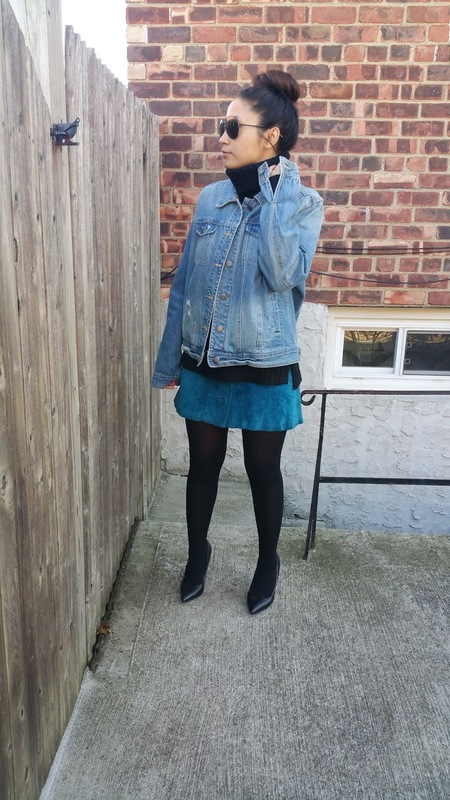 Love the vintage vibe of this look ! And that jacket is lovely. 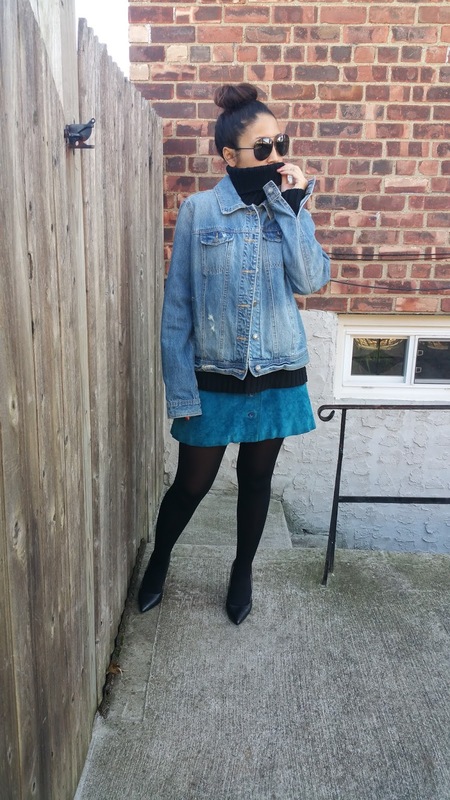 Black and denim look so good, great outfit! great :) i <3 jeans! I like the look you created by alternating the blue and black outfit pieces. The blue denim jacket from Target, black H+M turtleneck, Vintage blue denim Gucci skirt, and black tights look lovely styled together. I love your hair! And your outfit! nice look! 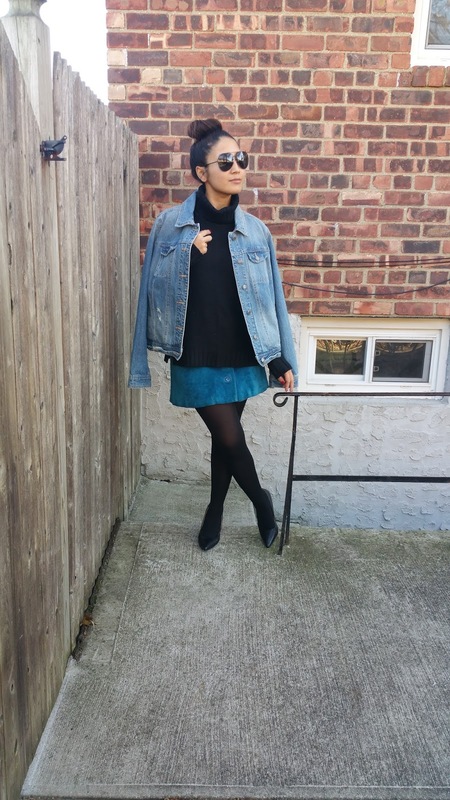 Absolutely cool, I love your vintage skirt! Hello from Spain: great denim look. I just discovered your blog and I like the variety of topics that you write. Fashion and beauty are my hobbies with my Barbie doll collection. Right now I have a blog dedicated to those dolls that I invite you to visit: http://all4barbie.blogspot.com.es/ If you want we keep in touch. I already made me a follower of your blog. Awesome, I love that skirt. 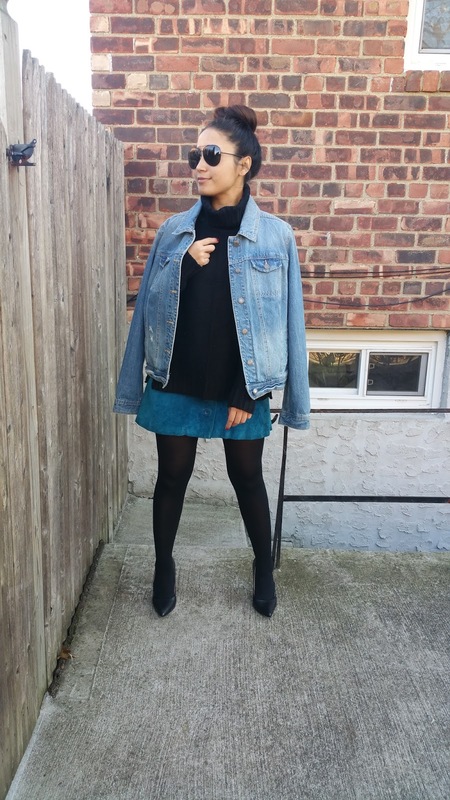 I love how you style denim, amazing outfit. 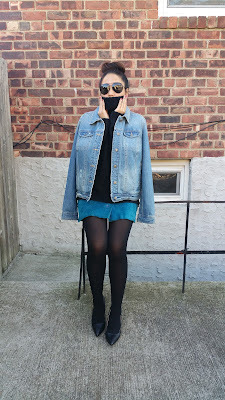 Wow perfect outfit,this denim jacket is a classic piece.